Located in Dry Creek Valley about 7 miles west of Healdsburg. Lynn and Scott Adams are the proprietors. Stop at the Dry Creek General Store or Big John’s Market for picnic goodies. Enjoy the scenic drive to the truly picturesque property with eye pleasing views. 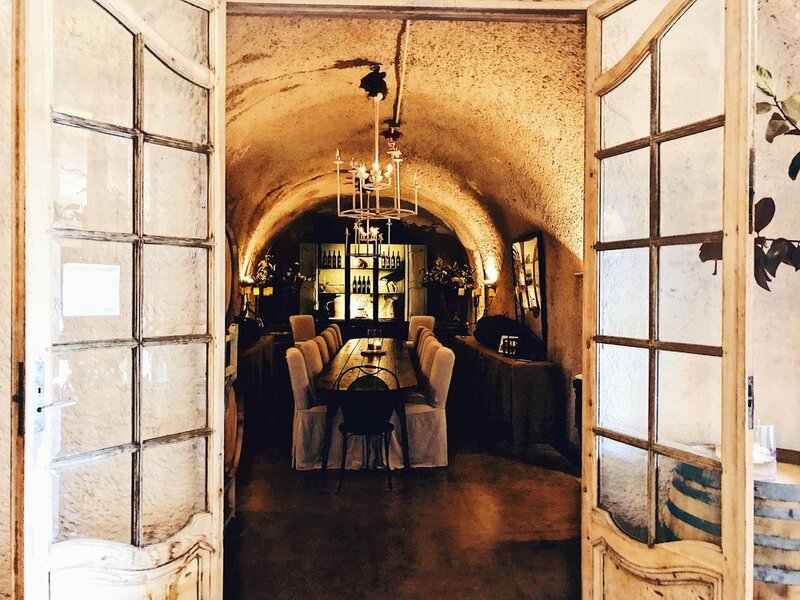 Enter the 6,500 sq ft. cave, a novelty at Bella, for your wine tasting experience. The cave has a: Romantic, chandelier, candle lit, cozy, elegant type vibe. Directly above the cave are 85 year old zinfandel vines. Friendly staff greet you in the cave. Cave rooms are available for scheduled seated tastings. Open daily from 11:00 am to 4:30 pm. Tasting Fee: $20pp, no reservations needed. There is a wine tasting bar at the very back of the cave. Private Tasting: $35 pp. 5 wine flight. Ten Acre (second label) Terrace Tasting: $35 pp. Allow 60 min. All tours by appt only, and reservations must be made one week prior. 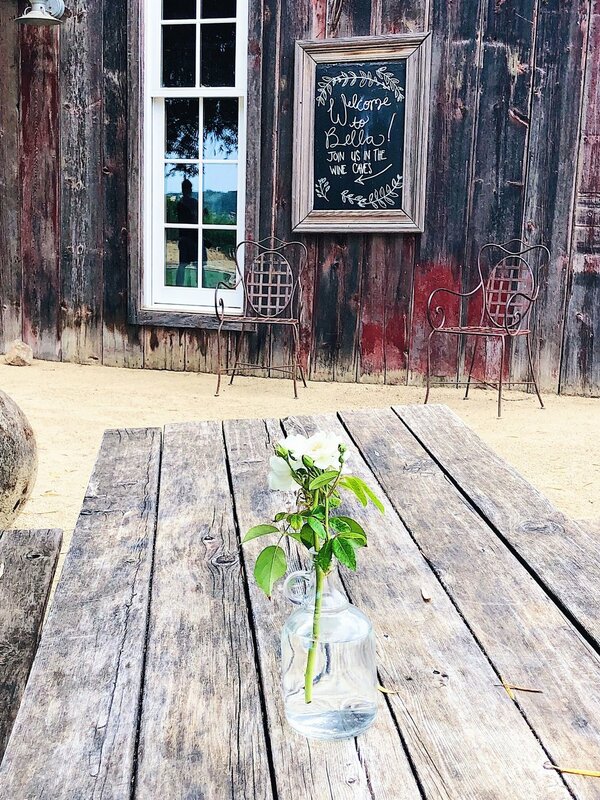 Enjoy a midday meal at the top of Lilly Hill. OR 3 course dinner $175 pp. Candle lit in the cave, reservations needed. In Dry Creek Valley AVA, Zinfandel is the kingpin wine. Bella Winery is known for their highly rated Zinfandels. Lots to do outside the cave. Play a friendly game of corn hole or a fun bean bag game. Michael Dashe, the wine consultant, and Joe Healy, the Bella winemaker. Discover their second label, Ten Acres Chardonnay and a Sonoma Coast Pinot. Michael Zardo is the Ten Acres winemaker. Some Ten Acres grapes come from their 10 acre vineyard property in Russian River Valley. Ten Acres wine may be purchased at Bella Winery; the first release was the 2010 vintage. Bella is in reference to their daughters’ names, combo of Julia Belle & Lilia Rose. 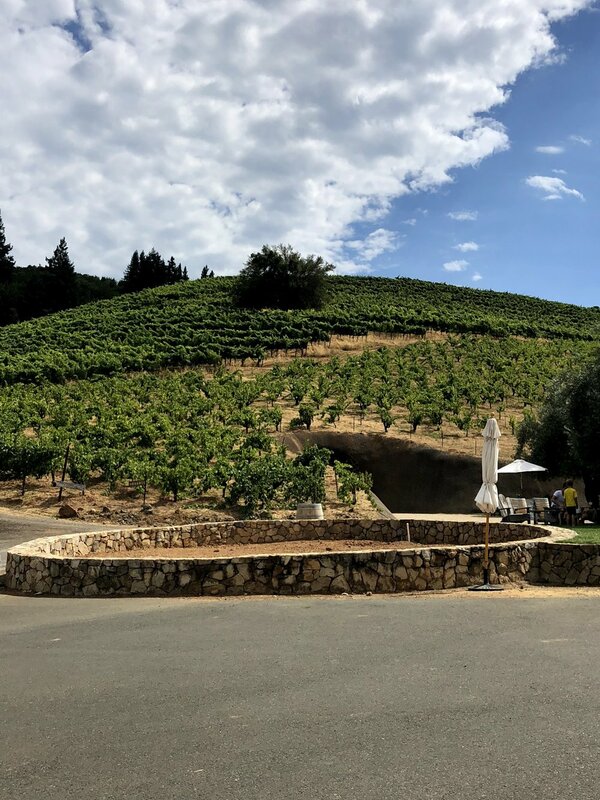 Go on a Sonoma County Wine Caves Tour! Deerfield, Roth, Lancaster, Alexander Valley Vineyards, Kunde & Bella. Bella Winery cave was completed in 2003. Bella Winery is quite well known for their port paired with a peanut butter cup!